I was looking back at my posts on here and I noticed another trend amongst the topics, besides football and fashion. Fundraising! Its nice to imagine that in some way, even if it is small, Athletichic can help make a difference. My roomie was at the Penguin autograph signing last night and she met a man that works for the Hero Program. I hope you take a moment to visit their site, its an amazing organization! 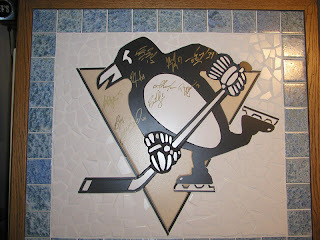 Right now they’re holding a raffle for a Penguins Players Autographed Tile Mosaic, pictured below. I want a 100 tickets!! 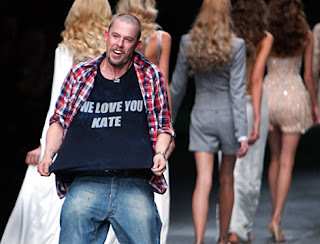 Alexander McQueen passed away on the first day of Fashion Week, so sadly I did not have time to give him a proper goodbye blog post. McQueen was such an amazing, talented designer who really believed his shows were works of art and not just a way to make money. That is a quality I really truly admire in a designer!!! With his funeral today, I thought it would be appropriate to finally have my goodbye post to him. What a fashionable crowd that came out to pay their respects….. 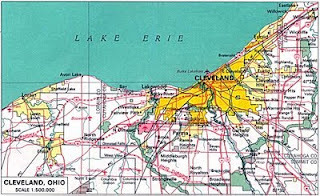 I read last week about Cleveland being named the most miserable city in America, according to Forbes magazine. I was going to let it go without saying anything, because to be honest, I feel bad for them. I have some dear friends that are from Cleveland and it kind of breaks my heart for them. This changed when my BFF reminded me that we can use this next year when those dear Browns fans refer to us as Shittsburg (yes they usually spell it wrong) And it is all in good fun. So my friends, keep this in mind for next football season…fact..Pittsburgh most livable city in America…fact..Cleveland most miserable city in America. I thought this would be a nice message to share with you while we’re all in the Olympic spirit! The new website they have created to help you stay fit and eat right is a great tool we can all use! I’ve been looking forward to the History Uncorked 2010: Black & Gold Celebration, since I read about it in my Pittsburgh magazine last month! 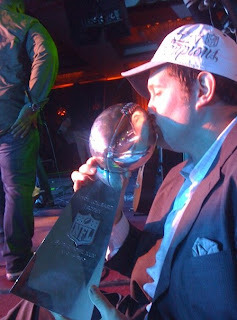 Can’t wait to network and drink, all the while celebrating Pittsburgh sports!! So I’ve felt a little out of touch with the Olympics, since I was in NYC for fashion week, and didn’t have the chance to sit and watch any events. Well upon arriving home last night, my roomie ST, yelled for me to come to her room! I thought maybe she was so happy to have me home she wanted to see me one last time before she went to sleep. That was not the case. She called me in to show me Shaun White’s sweet snowboarding gear. Honestly, how adorable is this. Now, I realize I am looking at this from a total outsiders pov, as I’ve never snowboarded in my life, but this outfit is so fashionable considering the usual options! After some research I found that Burton the company that makes the pieces is not selling them, yet! I have a pretty strong feeling they will be on the market after how well Mr. White did last night! I had to get this post up before I left for Fashion Week! 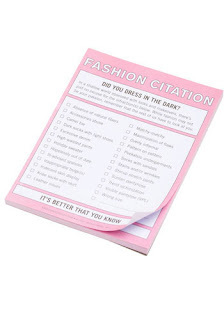 How cool are these Fashion Citation pads from ModCloth! I’ve been waiting years for something like this! I plan on passing these out everyday. They’re amazing! My college roomie Karly has an awesome family, honestly some of the nicest people I’ve ever met in my life. Part of the awesome family is her brother Zach, who happens to play for the Saints (#64) I couldn’t be happier for them, after all of the time and love they dedicated to helping Zach succeed, as well as Zach’s hard work and dedication, its nice to see such a great thing happen for them. Congrats! I’m off to NYC for Fashion Week, so I won’t be posting for awhile. I’ll miss you dear readers while I’m gone. Stay warm! I’m sure everyone and their mother has seen this commercial by now, however, I thought this was the most appropriate send off for you for Superbowl weekend. Hi readers! Its my birthday, so I’ve felt extra overwhelmed all day, so sadly this post will be extra short! My good friend CJ asked me to join her, Race to Any Place team this year! I’m very excited, I know its crazy to think this time last year I was still deathly afraid of spin class, now I’m participating in a bike’a'thon! Why don’t you put a team together and join in on the fun?? ?